Cate: Please welcome J. R. Lindermuth. John, will you please share a short bio with us? John: I’m a native of Pennsylvania, a retired newspaper writer and editor and currently librarian of my county historical society where I assist patrons with genealogy and research. I’ve published eight novels, including four in the Sticks Hetrick mystery series. I’ve also published stories and articles in a variety of magazines, both print and on line. Cate: Oh, very cool. My sister's been researching our family. Tell us about Being Someone Else and where it's available. 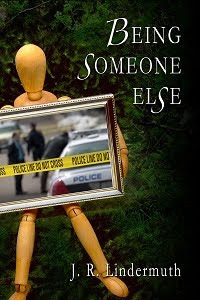 John: Being Someone Else, fourth in the Hetrick series, was published in July by Whiskey Creek Press and is available in both print and electronic formats from http://whiskeycreekpress.com/store/ and various other outlets. John: I’ve always been fascinated by disappearances, switched identifies and similar mysteries. John: I’m more of a pantster than an outliner. My outlines are generally so brief, just a scattering of words to serve as reminders of the direction I’m going, they would be totally meaningless to anyone else. Generally I start with a specific character in a situation and go from there. John: Definitely. And they grow in depth day by day. John: I’m in the early stages of several concepts, including another Hetrick. Two other completed books have been contracted with another publisher and I’m awaiting release dates. Cate: Congrats on the contracts! Any other published works? John: In addition to BSE, the other Hetrick books are Something In Common, Cruel Cuts and Corruption’s Child. Then there are three historicals--Watch The Hour, The Accidental Spy and Schlussel’s Woman—and a mainline, St. Hubert’s Stag. John: Broadening the audience. Promotion is a daunting, on-going challenge but necessary if one is to compete with all the other books out there demanding a reader’s attention. The most rewarding? Pleasing a reader and having them come back for more. Cate: Amen to that! What’s the most interesting comment you have received about your books? John: A fellow writer said my books have ‘magnum sizzle.’ I rather like that. John: Too many to list and I’m constantly finding new ones to admire. Perennial favorites among contemporaries would be James Lee Burke and Ruth Rendell. I’m currently enjoying Tim Hallinan’s Poke Rafferty series. John: My webpage: http://jrlindermuth.com. My blog: http://jrlindermuth.blogspot.com Facebook, Myspace, Authorsden, Crimespace.ning, publishedauthors.ning, Goodreads, Shelfari, etc., etc. Cate: Especially magnum sizzle! Thanks for being my guest, John! Best of luck to you. Lovely interview, John, really enjoyed it. Great interview. You certainly are a busy writer John. I didn't realize that you had so many books published. Best of luck with all your ventures. I've read all the Sticks Hetrick books and can tell you they are very entertaining reads. I always look forward to the next Sticks novel. I'm fascinated by the ability of some people to lose themselves or switch identities, too, especially given our increasingly trackable selves. Look forward to this book! --SIGH.... So many books, so little money! lol! I enjoyed the interview, John. My husband would love you. He's done a lot of research on his family. Two Saturdays ago we drove to North Charolina to visit two old cemeteries. He found some new names and connections to add to his files. Thanks Cate and all. Elaine, you just can't keep us genealogists out of cemeteries. Oh John, are you keeping your other identity as a Western author a secret? 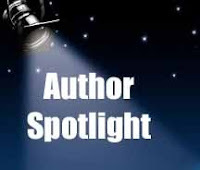 Oak Tree Press is excited to put you in the spotlight soon! Really enjoyed the interview. The excerpt has sent me off in search of Sticks Hetrick novels. Looks like I've found a new mystery series. Being a huge western fan, I'm really looking forward to John entry into that genre. Can't wait to see what he's got coming from Oak Tree. Nice interview, John. Genealogy is a business that tries everyone's souls. I know from personal experience: attempting to get membership in the DAR, so my soon-to-be Eagle Scout son can qualify for the SAR's college scholarship. A very interesting concept for a book. WhenI was much younger and more of a romantic than Iam now, I fantasized about picking up and driving off to a new place and establishing a new identity. This may be the kind of dream or nightmare common to young adults. Of course I never did it, and I'm glad given how my life is turning out now. Extremely interesting interview John, it convinced me to try one of your books. Good wishes for the future.